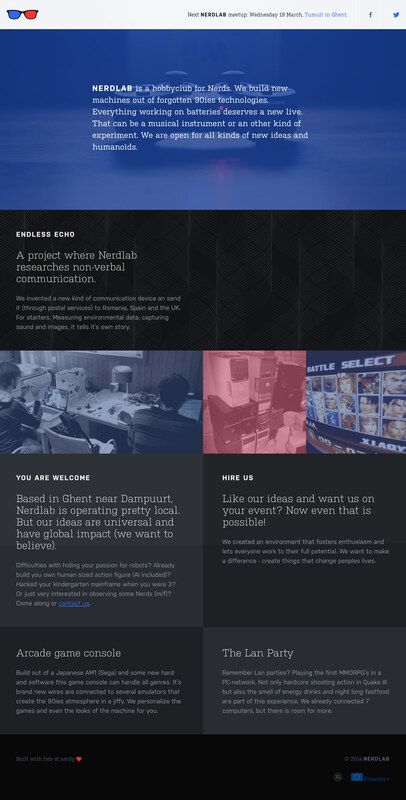 Responsive One Pager for ‘Nerdlab’ – a hobbyclub for Nerds where they build new machines out of forgotten 90ies technologies. Really loving this Kulturista and Nudista font combo. Everything working on batteries deserves a new live. That can be a musical instrument or an other kind of experiment. We are open for all kinds of new ideas and humanoïds.